The recent meeting of the Eurovision Song Contest Reference Group in Athens gave the green light to Greek broadcaster ERT to continue with preparations for the 2006 contest. Svante Stockselius commented, The venue will be chosen by ERT. They have presented a suggestion of a venue that the European Broadcasting Union Reference Group visited and has approved. If this venue will be the one actually chosen for the ESC2006 is now down to negotiations between ERT and the venue owner. He was unable to confirm which venue was being considered. Many reports claim that ERT proposed the Olympic Indoor Hall as the venue for the contest. This sort of thing has to come from the Host broadcaster. It is their decision on which venue they want and how negotiations will take place with the venue owners. They will also decide when to officially announce the venue. The EBU is only able to either approve or disapprove of their actions, he clarified. Ticket sales for the 51st contest was one point on the agenda for the two-day meeting. In recent years, fans have found getting hold of tickets troublesome. There had been calls for the EBU to hand the job of ticketing the contest to an experienced and reliable external company. This has been rejected by the group. When asked about how tickets will be made available, Stockselius was unable to provide any concrete answer, simply stating, This will be one of the issues for ERT to find a solution for. ERT has now set the budget for the show and in turn, the EBU has been able to let participating broadcasters know the entrance fees for next year. The exact figure is being kept a close secret for the time being. Those in Athens also met to discuss the rules for 2006. Although no major changes are expected, the EBU plans to hold off on issuing the final version of the rules until the end of September. When asked if there would be any new entrants this year, the contest supervisor admitted that it was too early to tell. 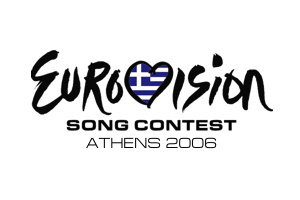 Greek TV plans to broadcast a number of shows leading up to the contest that will take place in May 2006. Elisavet Filippouli will host the programmes that will allow viewers a look behind the scenes of the organisation of the event.